St Chad’s College is set in the shadow of Durham Cathedral and fronts onto North Bailey, a medieval street. Beyond the gardens, the land falls away into the wooded gorge of the River Wear which flows round this high peninsula, once the citadel of the Prince Bishops. 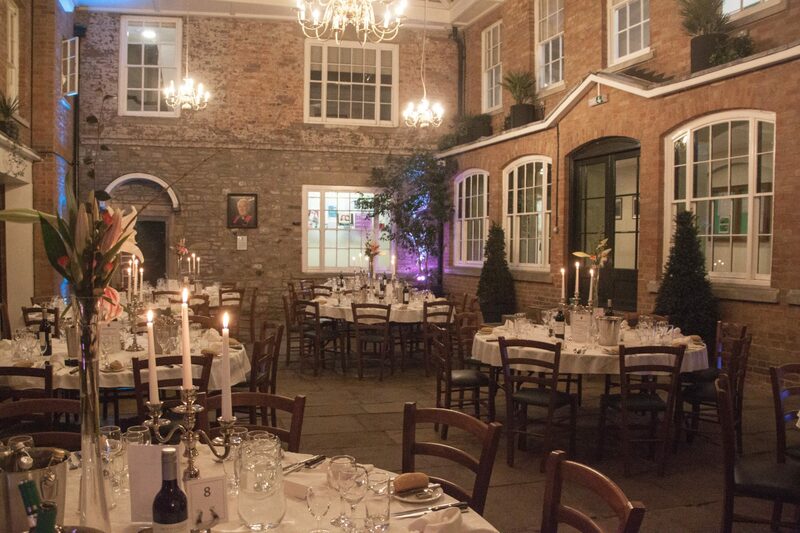 The beautiful setting of the College gardens, where your guests can enjoy a drinks reception, and the splendid surroundings of the Moulsdale Hall & the Cassidy Quad make an ideal setting for your wedding reception. You will receive a professional, friendly and caring service from our staff who will endeavour to ensure that your special day is everything you could wish for. At St Chad’s we pride ourselves on our attention to detail and our ability to meet your requirements and wishes at a sensible price. If you would like to find out more about holding your wedding reception at St Chad’s College please contact us and arrange a time to come and view the College and meet the staff, who will be happy to discuss your requirements with you and answer any questions. We look forward to welcoming you to our beautiful College and gardens.